Obituary – McQuiston, Willa “Kathryn” (Laird) « Perry High School Alumni Association, Inc. Honor Society; Quartet; Grand Hi Red Hot; Glee Club; Girls Reserve; Blue Curtain Dramatic Club; Citizenship. Mrs. Keith (Kathryn) McQuiston, 61, 2 Hillcrest drive, died at 6 a.m. Friday in Bass-Baptist Memorial hospital, Enid, following an illness of six weeks. Funeral will be at 2 p.m. Monday in the United Presbyterian church with Rev. Paul Westberg, interim pastor, officiating. Burial will be in Grace Hill cemetery under direction of Newton funeral home. Mrs. McQuiston was born Jan 4, 1909, in Perry. She was married Sept. 21, 1930, to Keith McQuiston, who survives. 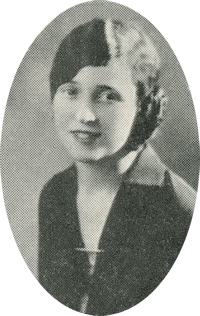 She attended Perry schools and worked as a clerk and receptionist for the state highway department. She was past worthy matron of the Order of Eastern Star and was a former organist for the Presbyterian church. 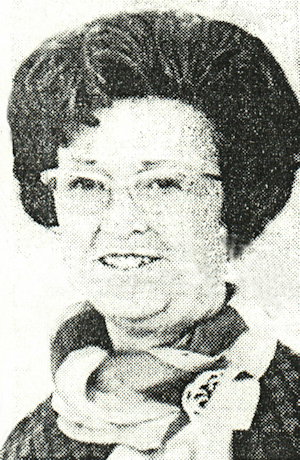 Survivors, in addition to her husband of the home, include one daughter, Mrs. Beverly Sloan, Oklahoma City; a brother, Carl Laird, Enid; two sisters, Mrs. Leola Donley, Perry, and Mrs. Marjorie Bowles, Stillwater; and four grandchildren.